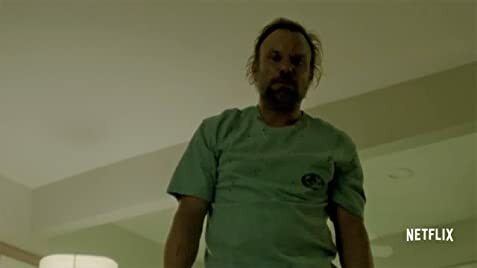 How many episodes of Bloodline have you seen? John Rayburn: Sometimes - you know something's coming. You feel it - in the air. In your gut. You don't sleep at night. A voice in your head's telling you, something is gonna go completely wrong, and there's nothing you can do to stop it. That's how it felt when my brother came home. 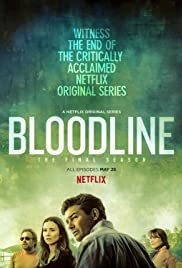 Bloodline is a dark, chilling, blood boiling drama about a family having to deal with their brother, Danny, coming home. I can't go into any more detail than that when it comes to summary, because there's some things that are better to just find out by watching. I'm not sure where some of these negative reviews are coming from, but I can say that this show is a real work of art. The acting is amazing, the scenery is beautiful, the dialogue is seamless. The chemistry between the actors portraying the family works so well together you could almost believe they've known each other for years. The description of this show does not do it justice, but please for the love of god give it a chance. Netflix is cleaning out network television shows with masterpiece shows like this and many others. This is my favourite show of all time, even beating out Breaking Bad. There's nothing to hate about this show, but don't go watching it if you're looking for heart pumping action, because it isn't that, it's a dark drama that is worth every minute to watch. It's relatable in ways, and touches on things almost all families have problems with (maybe to more extreme measures). I can not praise this show enough, and that's why this is my first review on IMDb, because this show NEEDS more praise. Tell your friends, tell your family, cause Bloodline deserves to be the next big thing.